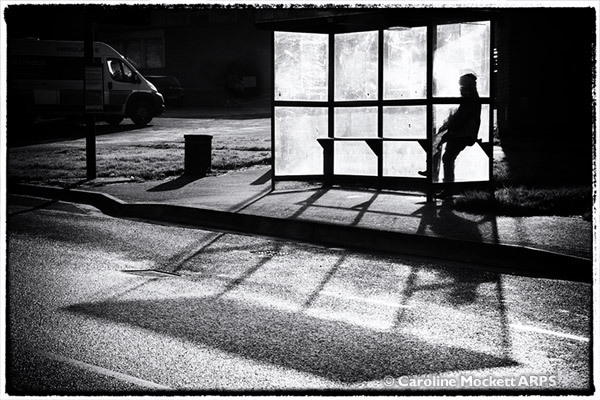 Notes: I spotted this bus stop and its shadow on the way to the Post Office this morning. I thought to myself, “what that scene needs is someone waiting for a bus”. Sure enough, on my way back from the Post Office a few minutes later, a potential passenger had arrived and sat down. Notes: We needed a walk today to blow away some Christmas cobwebs and decided on a wander around Battersea Park. It’s not somewhere I’ve been before, being in an awkward part of London from where I am normally passing through. 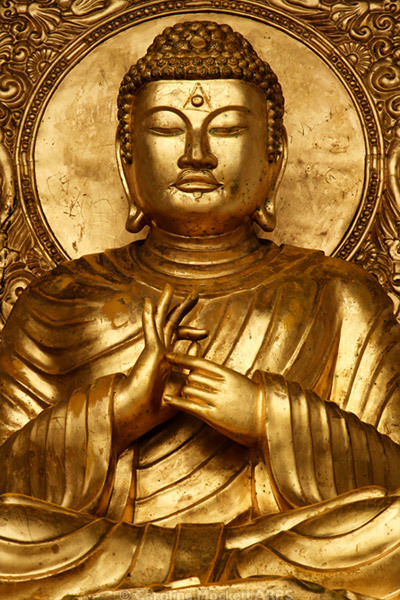 It was a cold and crisp day but we enjoyed seeing various dogs taking their owners for walks, kids trying out their new bicycles, a cuppa in the Italian Café and the tranquillity of the Peace Pagoda by the River Thames. This is a detail from one of the four niches around the pagoda. Notes: This gnarly old oak is pretty huge, sitting in the grounds of Hylands Park. 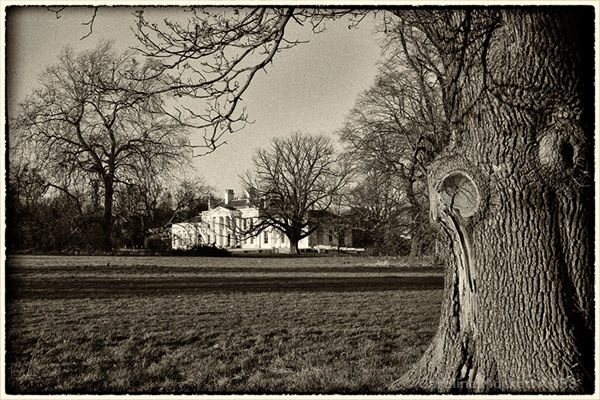 The house has been there since 1730 – perhaps there’s a good chance the tree has been there even longer. What stories it could tell! Notes: There were some lovely wintry long shadows this afternoon as I took a walk around Writtle. 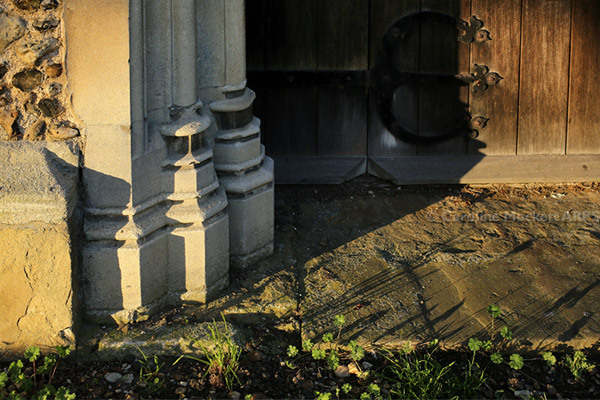 These weeds clinging on to the cracks in the paving near the Church door cast great shadows on the flagstones. Notes: The view from the 6th floor smokers’ balcony in the building where I’m working on Mondays. 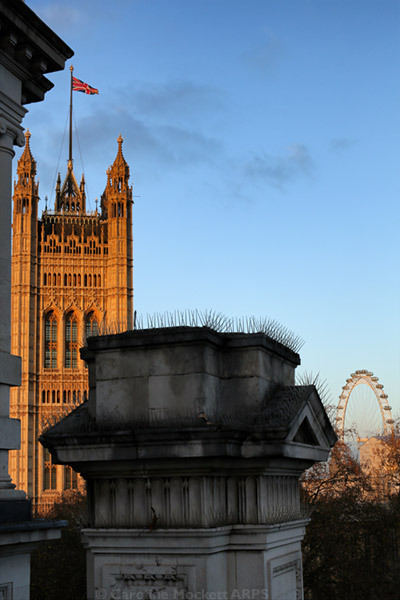 The tower of Parliament and the London Eye look rather fine in the late afternoon sunlight, it’s just a pity about that nasty pillar with pigeon spikes in the way! Notes: The first of the twelve locks along the Chelmer & Blackwater Navigation from Chelmsford to Heybridge Basin is at Springfield. It’s the last one I’ve photographed for my monthly location shots, looking still and quiet in the late afternoon sunshine. 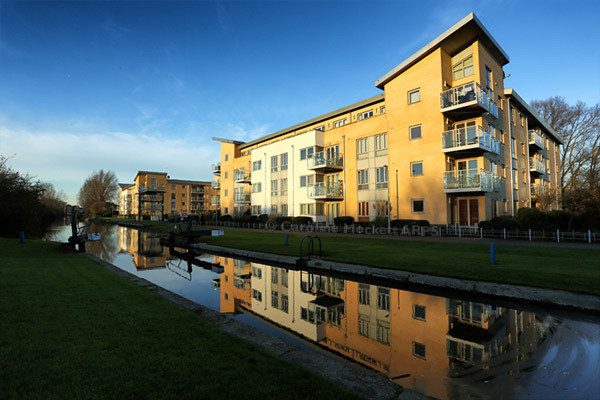 I wonder what it would have looked like in its heyday – way before these modern flats were built alongside. Treasure Hunt Theme #12 – Once A Month – December. Notes: I went to Dedham for a look around and have lunch with Mum & Dad at the Craft Centre. 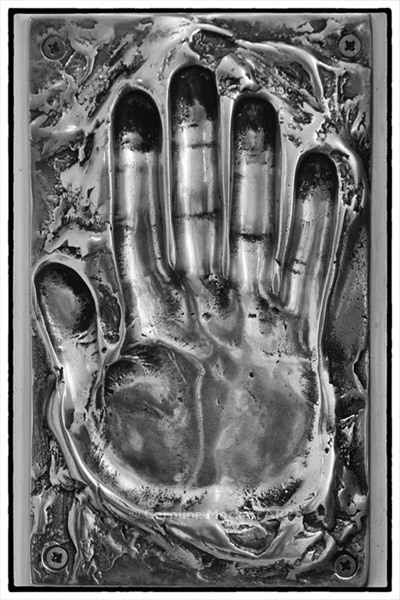 They have these fab cast metal hands on the doors to the toilets. Perfect for Treasure Hunt Theme #53 – Hands.